Pat Kiernan, on our shortlist of Best New Yorkers Ever (also included: Action Bronson, Jerry Seinfeld), is getting a radio show. 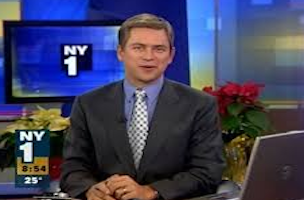 Mr. Kiernan, who is on NY1 each weekday morning, said his show, which will include a co-host who has not been named, would be a recap of the major news and pop culture events of the day. He also emphasized the importance of local programming on the radio, as stations compete not only against one another but also against an ocean of media online. Our creative genius knows no bounds.